Pacific Blue Cross, Medavie Blue Cross, Green Shield, Sunlife, Manulife, Great West life and others. We offer this service in order to make things more convenient for our patients so that they can focus on their health and wellness and dont have two deal with the paperwork associated with submitting their claims independently. If you have any questions about direct billing or would like to set your account up for direct billing at the clinic please email us. Francesca aims to treat pain and stress in the body using a holistic approach. She treats with moderate pressure, with the intention to engage the power of the restorative parasympathetic nervous system. Organic oil and calming music are used. Registered since 2004, Francesca studied at the West Coast College of Massage Therapy. She takes Continuing Education courses with a focus on myofascial release, neuromuscular techniques, Muscle Energy and cranial sacral therapy and often uses aspects of these modalities. She tends to engage the parasympathetic nervous system as part of the treatment plan, incorporating Swedish, breath work, myofascial release, trigger point therapy and compressions into most treatments. Some common issues she treats include: stress, low back pain, headaches, tmjd, cervical spine issues, anxiety, scar tissue and overuse injuries. Homecare is often given and can include stretching and strengthening, breath awareness, hydrotherapy and hydration. Raised in Vancouver, Francesca has a strong love of its natural beauty, and often can be found in the forests and mountains of the North Shore. She is passionate about yoga and ayurveda wellness and is a certified yoga teacher and a certified ayurveda and yoga wellness coach. Quanta Integrated Health is an established multidisciplinary clinic on the Northshore. We are looking for 1 or 2 more registered massage therapists to join our team. We are also open to one RMT and another health practitioner (acupuncture, naturopath, TCM, Osteo, etc). Quanta Integrated Health was establish in 2002 (under our old branding). We have been on the Northshore since 2008. We recently moved into a beautifully renovated space on Marine Drive (near Capilano). It is centrally located and we have a large patient base from both west and north vancouver. It’s a great location to build your practice. We currently have a lot of patients we cannot accommodate during the week and have a waitlist for appointments during the week. You would be taking over a practice from a therapist is working 3 days a week and also the overflow from our current full time massage therapist. We are turning away patients. The waitlist is generally 6-10 patients long depending on the day. You would have your pick of days and hours at this time. We have current availability 7 days a week for the right therapist. We have one full time therapist and two very part time therapists on staff. All therapists are fully booked and have been since day one. We ideally would love one-two full time therapists however part time therapists would be warmly welcomed. You can pick your days and hours. We also have a high demand for evening and weekend appointments so we would also be able to accommodate a therapist who only wanted to work evenings and weekends(which would be ideal for someone juggling a family and transitioning back to work). We offer competitive daily rates with either a flat daily rate or a percentage basis. The therapist gets to choose what will work best for them. Included in the rent is basically everything you will need to run your practice: online booking, online charting, electric tables, advertising, clinic laundry and linens, lotion etc. Regardless of whether you are an already established therapist or a new grad you would have supportive place to build your practice. We are a patient centred clinic that subscribe to a biopsychosocial model of treatment. All modalities are welcome as long as you are registered (or soon to be registered) in your profession. For new grads and are willing to provide mentoring and help with the business side of things. We know you will love the space and be busy right away. We had a locum join us last year for what was supposed to be a 6 week period that lasted 9 months. We also had a locum that was supposed to be with us for 3 weeks who was with us for almost 2 years. We ideally would love a long term therapist wanting to build a thriving practice in a supportive environment. 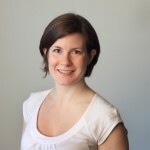 We are very excited to announce that Nicole Hunter RMT has joined Quanta Integrated Health. She will be offering massage therapy on Mondays between 9:30 and 3:30 starting in September. Quanta Integrated Health has appointments available for Massage Therapy this long weekend and we offer direct billing to most extended health plans! Quanta Integrated Health has openings for Massage Therapy this long weekend. We still have limited availability with our registered massage therapists on Saturday and Sunday. There are still a few appointments for Monday. All of the therapists at the clinic are registered massage therapists so you can get reimbursed by your extended health plan for your 60 minute massage therapy treatment. Sharon Pannu RMT and Kara Richards RMT provide direct billing for most extended health plans. It is rare for Marianna Silanteva RMT to have an opening on the weekend but she has had a cancellation so this could be a perfect opportunity to book a massage therapy appointment with her. You can book your appointment today at Quanta Integrated Health just click the book now button and a 60 minute massage therapy appointment can be reserved for you. We understand that life can get busy and we strive at Quanta Integrated Health to make health and wellness less stressful. All of the massage therapists at Quanta Integrated Health are all registered massage therapist so you can get reimbursed by your extended health plan for your massage therapy treatments. Stephanie Langlais RMT, Kara Richards RMT, and Sharon Pannu RMT also offer direct billing to most extended health plans for massage therapy treatments. Why not let us handle the billing for you so that you can focus on the things that matter. It was time for a change. As my clinic was growing, expanding and moving into a new direction it was obvious that I needed to adopt a new name to reflect the new changes. I had been doing business as Soma Massage Therapy as my company name since 2002. Stephanie Langlais, registered massage therapist was intricately intertwined with the name Soma Massage Therapy but it was time to let it go. With all the growth and changes at the clinic we out grew that name and no longer saw it as valuable. I previously loved the name but I could see how were limited by the company name. The word Soma means “body” and we were no longer just addressing the physical body with the modalities that we used. Soma was also a highly over used word by many health care practitioners all over Canada and BC. We felt it was time to distance ourselves from something generic and set ourselves apart. We also needed to find a name that incorporated other health and wellness modalities because we were no longer primarily focused on massaged. We have diversified our modalities with the addition of various health care practitioners and we needed a name that reflected that. We love the new name, the new website and the new changes at the clinic. We hope that you love the changes as much as we do. We are now located at 205- 1075 Marine Drive in North Vancouver. Not only have we relocated but we have expanded our services and added new health care providers. We are now offering acupuncture as well as massage therapy.